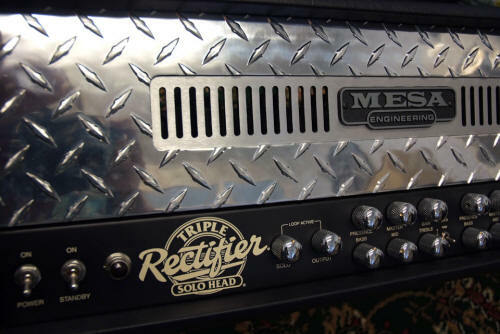 The Mesa Boogie triple rectifier can be an unwieldy beast if you let it. Find out how to tame it. 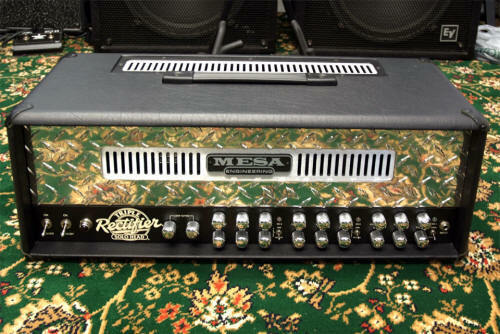 There really is only one brand when it all comes down to the 'Recto' amp as many guys know them and that's Mesa Boogie. It does not matter whether you have had your head in cloud cuckoo land for the past 25 odd years, whether you are from this earth or 'Fullers' if you have not heard the fire breathing Mesa Boogie Rectifier series of amps then you are basically dead! It's not true to say there was nothing before 1991, but when Mesa invented this design they basically changed the guitar music direction forever; and that includes how we write music today for sure where rock is concerned. Everyone (well most of us) have used other brands including Marshall, Fender and many other amps, but the Rectifier series of amps as a fledgling in 1991 was only going to go one way, up. 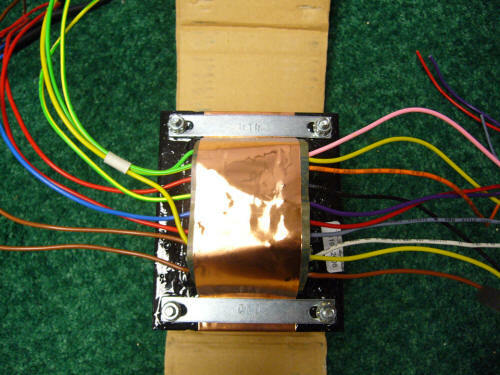 Most readers will know that the 'dual rectifier' is quote 'the amp to have' especially if you are in to rock music, and to be frank the Triple Rectifier in many ways has gotten a 'bad press' label and remained in the sidelines of its far more famous brother of the dual rec; you have to ask yourself why? One reason is that the Triple Rectifier guitar amp can cut your head off at 100 paces - that is, if you don't really have much of a clue to how to use one of these. But don't think the 'dual rectifier' is just a plug in and go like a Marshall amp; these things need time and knowledge to get the best from them and I can tell you that when you get there with one of these; the Triple Rectifier amp is actually one of the ones at the top of the pile. You can pick up a Triple Rectifier (in the USA) for basically peanuts compared to what they are worth (mine cost less than $900 fro GC second hand and like new) and these things are really built well. Obviously if you live outside the USA and you do this you will need a drop transformer (240v in the UK) or an power transformer to convert the amp. Above is a PT that I bought from TAD of Germany; a little expensive (220 Euros - read £200 as of September 2010) and you have to know a little about which wires go where or you will pop the amp; but fitting a PT is worthwhile if you don't want to carry that extra load. Mesa Boogie in my view don't fit dual winding power transformers in a misguided way of making you buy from your countries distributor; this 'method' of distribution amounts to price fixing in my opinion. At last count the Triple could be bought on the street in the USA new for $1799 plus about 7% tax (approximately £1200.00 all in) and here in the UK you will be very hard pressed to buy a new Triple Rectifier for less than £1895.00; now that's a massive £700 (or over $1000) more cost for the privilege of buying from the UK. Hey Mesa wake up it's severely hurting your sales in this country. OK well where do we go from here? I have split the triple Rectifier pages down a little; there's this page where I give a sort of personal overview, the specifications page is self explanatory, I have an 'in use' page (probably very useful if you have little knowledge of these amps), a page on the loops in the amp, info regarding the 'bias' choices in this amp and lastly the power output of the amp and some advice about that so overall you should get a feel for the Triple Recto from this section of the website. One more thing I would like to cover here, is the huge amount of 'imitators' of the dual and triple recto amps. Today there are copy tube amps, emulations of all types of amplifiers and original designed tube amps that 'emulate' the sound of the rectifier amps from mesa boogie. It's always going to be the case; if you develop a real winner everyone wants to get in on the action and the Mesa Boogie rectifier sound is absolutely no different; they all want a piece of the pie; no matter which maker you think about. Check the Eleven rack review on this site (better not they are / were not that great). There are many bits of gear around that claim tube amps are dead, nobody wants those, they are too heavy, they are too expansive, they can not make tea, you get the drift. But that mentality is getting inbred from manufacturers who tell us all exactly the above and we believe them (don't we?). It washes off right over the regular musician; and I don't mean the musician that gets the free gear for 'sponsoring' the brand (or even money to say what the maker wants him to say) I mean the regular Joe just like me and you. I can actually cite a guy who has an Eleven Rack and sets it up to sound like a Road King II which is basically a rectifier amp; he's probably still on YouTube if you look for him (maybe I'll make him famous?). Now he spent some time making the Eleven Rack sound like a Road king II (and he had a RK II right next to the Eleven rack) so he near enough go a similar sort of sound. Wait? There's more to these amps than the one miserable sound he talks about? Right? Yes there is. If you think of all those other features on the Dual, Triple, Roadster or indeed the Road King II I think that guy has missed something along the way (and so have all the other emulator users if they think that their one sound writes off these amps). Actually there is absolutely no comparison whatsoever between the emulators (even dare I say it the Axe-Fx or the Kemper) around out there and these amps. Its just far to simple to assess an 'equivalent' from the one or maybe two sounds inside those emulators unless you are busy for years; I know I have owned both. Its true that the manufacturers will all make you believe that the emulators will make popcorn. Some of the users will too; fans are like that; checkout YouTube for all of that. But the truth is, if you spent 2k on a little black box, you would like it too! And if you did spend that money on the latest emulator and it turns out to be 'ok' but not 'great' (no matter what the paid artists say) would you tell the world you just made a 2k mistake and those emulations are not quite what everyone said? of course not. Its a common problem with music gear - especially the expensive stuff. But think like this; it WILL do you good; the rectifier amps can get that sound in 5 minutes if you know what you are doing, that's just one sound from these amps and there are literally many more while he has his one sound. And you know what - it still sounded a little thin to my ears at least. There is nothing (by way of any emulators) that is available today that sounds like a Road King II Recto or indeed any Rectifier from Mesa Boogie when it's set up right, with the right guitar, player and volume. Some of you will disagree (maybe you bought one of those emulators); the guy in the video on YouTube will right now, but I'm quite confident that when he's had enough of his Eleven Rack.. (it's been 10 minutes, it must be about time by now) that he will wake up from the melee of crap that makers speak and realize that he was conned; those fireworks of when you first plug those emulators in have so soon faded forever. That piece of gear will never be the same again. With the Road King II Rectifier, you get that great feel every time you turn it on. The reason is, that an emulation is exactly that; its a copy of a sound and in a tube amp that's a really very hard thing to do especially if like him you get the 'I'm going to throw away my Road King II or Triple and use the Eleven rack' syndrome, and many of us have had a feeling like that at one time or another; it always wears off. Maybe that's why you can get cheap Road King II or Triple Rectifiers? I say to him and others like him; rock on, I love cheap guitar tube amps! (email me when you are selling the real amp). From here I recommend you go and read the specifications, then the 'in use' page then read the rest in order of the menus on this site. Remember I am not telling you each and every last thing about these amps. The specs are there, but on the other pages I really set out to give you some sound advice if you are considering one of these amps and some tips to help you get off the ground. I don't sit here all day telling you how to turn it all on! You will have the manual and I suggest you read it, then read it again then maybe come back here and read some more. The manual, while extensive, in my opinion does not quite get you where you want to be in recto heaven. And that applies to the Triple, the dual, the single and particularly the Road King 1 and 2. There is much talk on the forums about exactly the subjects here and some of the content is great advice, while some of it is plain rubbish so like all advice and reviews - be careful what you do and don't always believe what you read. I try and put on these pages only information that is either not easily understood or is not too well covered and my experiences are exactly that, those of a user of the equipment just like you and where you are about to go I have been many times. Frankly, that's one of the reasons why I built this website from the ground up over the years, to mainly help other guys. I was well known (and probably still am) for my Triaxis pages and still get many hits for that rig and I'm sure that when I started out with that preamp on these pages the advice was very thin on the ground. It was hard for me too. In any case, things today are far more easier than then and there is lots on the internet; it's probably how you ended up on this site. But like I said - be careful with some of that advice. I never put anything up on these pages that didn't work for me. It's great to see you here finding out about these amps they really are awesome. Please note that the Triple Rectifier section of this website talks about the Triple Rectifier that is not the new (of 2015) multiwatt version, but the main differences are the ability to reduce the output power, the effects loops and one or two other small things; you still get basically the same sounds and using the amp is not really that different to what you see here. Mesa Boogie do however do a demonstration of the 'new' and the old and they make the new model sound different than the old model. Well if I was making these, and having to sell product from production then maybe I would do that too. Now I could be wrong about the sound and maybe they do sound rather different. But do you really think that mesa boogie would radically change the sound of their top line rectifiers? I for one am not too convinced about that. Notice if you do see the video; they never really do show the settings for each amp; so its a little difficult to say they are the same. In any case, the old model is awesome, and the new model is awesome; so don't be shy, read on and thanks for visiting this site, come back soon.